Morning power oats are the perfect breakfast solution when there is no time for breakfast prep in the morning! This protein-packed power porridge recipe will keep you running until lunchtime! Loaded with 25 grams of quality protein, you won’t have any tummy rumbling after this healthy breakfast. This healthy breakfast is delicious on its own, or serve it with a healthy beverage, like a Tropical Blueberry Kale Smoothie. 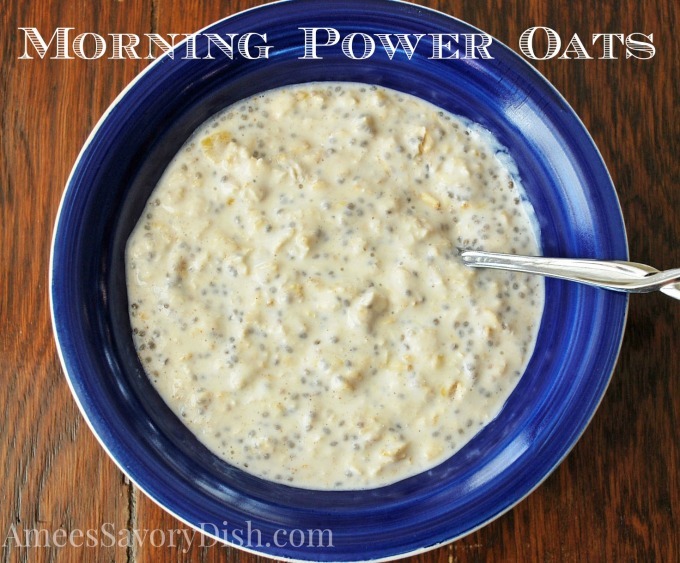 Enjoy these morning power oats. Here’s the recipe! That sure is packed with power! I love it!